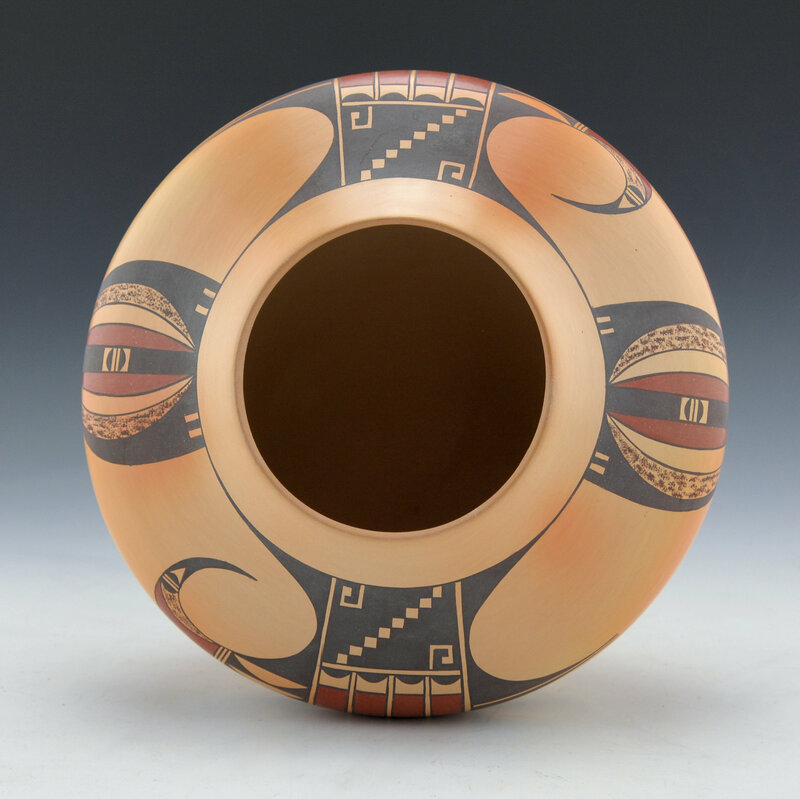 Steve Lucas is known for his intricately painted designs and thin-walled pottery. This jar has a red tail hawk as the design. 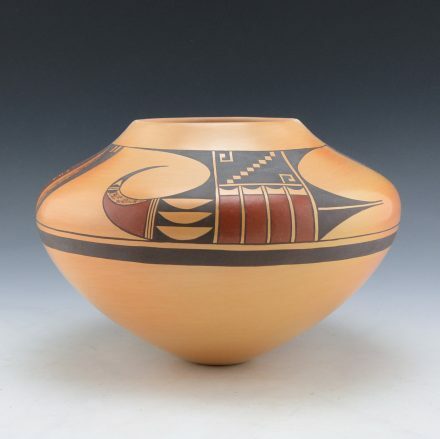 On two sides the tail feathers of the hawk extend down from the neck and are slipped with red clay. 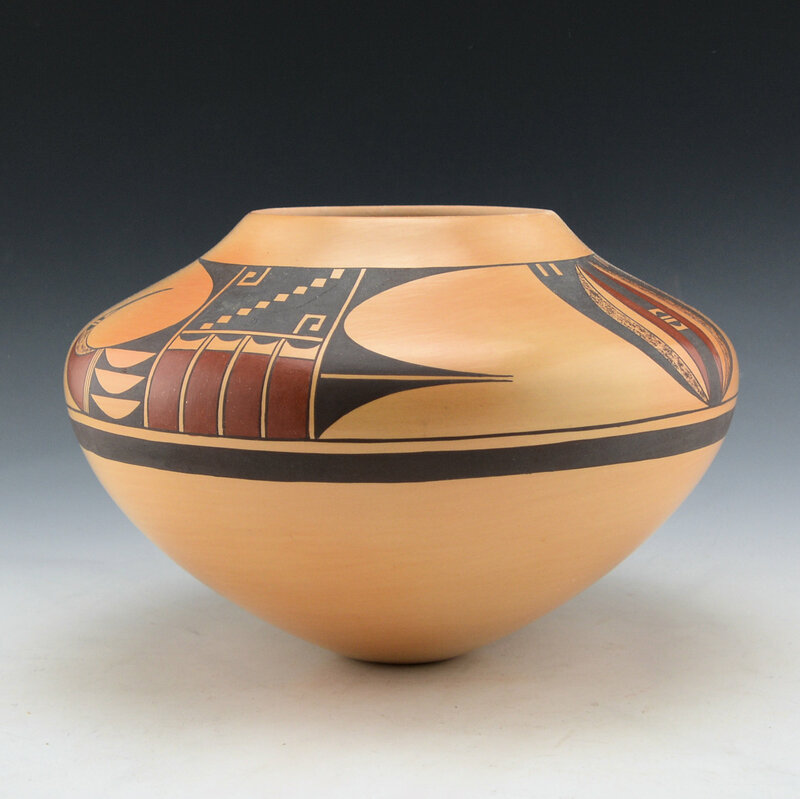 The head of the bird is also slipped with a polished red clay. Separating the two birds is a wing design. Note how thin the lines are on the jar! 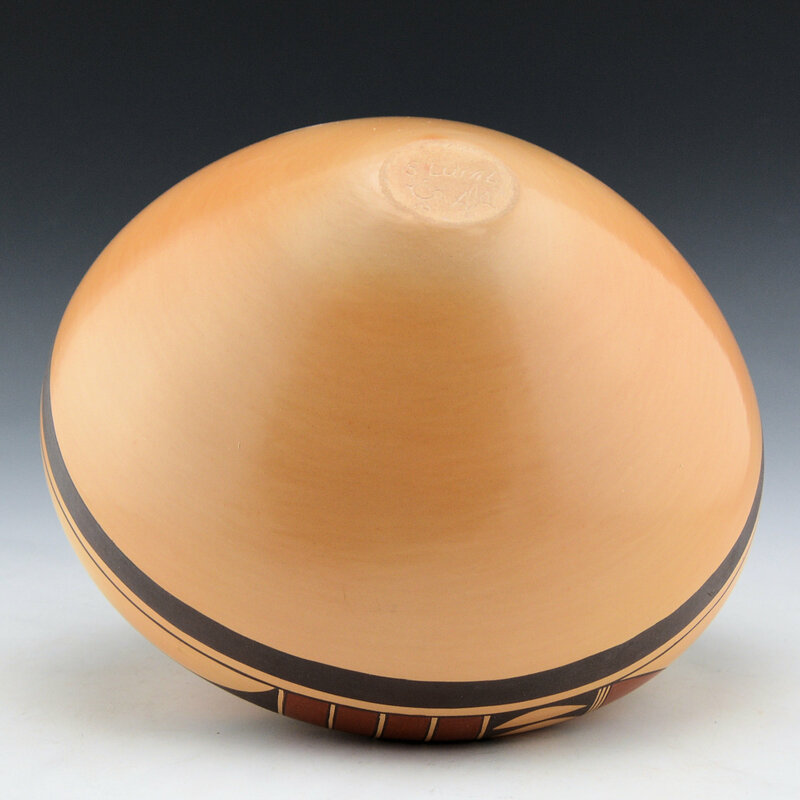 The shape of the jar also starts narrow they widens at the shoulder and comes to a small neck. Perfect to show off the design! 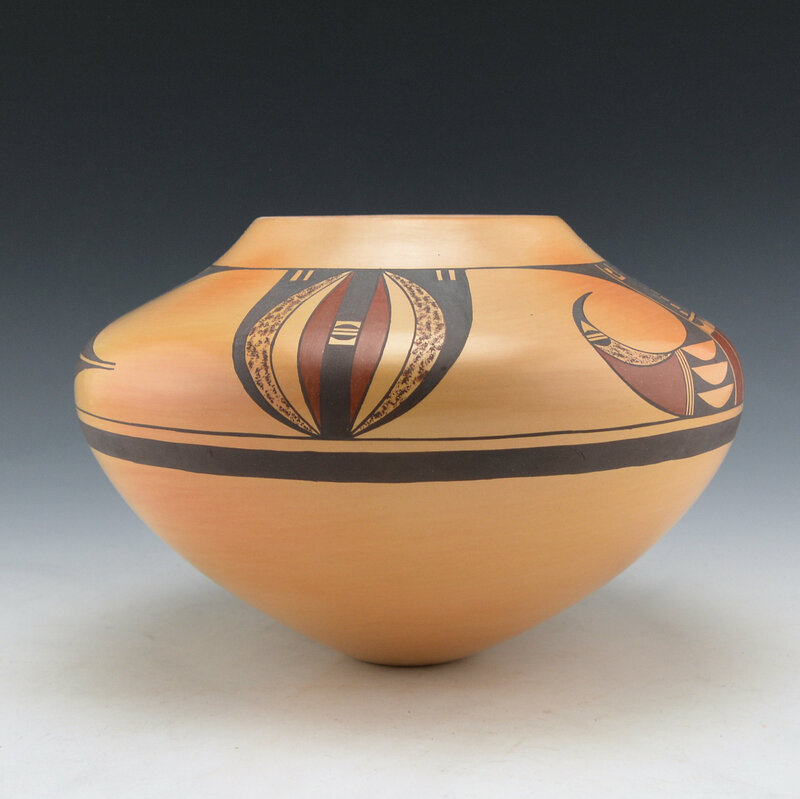 The jar is traditionally fired and has slight color variations from the firing. It is signed on the bottom with his name and an ear of corn (Corn Clan) and a Mudhead Katsina (Koyemsi).